I know after three days of very productive discussions and after such an historical event here in Malaysia, with the regime change, I think we are all looking forward to either going bank home or flying to our home countries. So I am not going to have a long speech. In fact, I just would like to thank everybody for participating in this important event. It has such an important significance for the World Bank Group because migrant workers are an important area of our work. 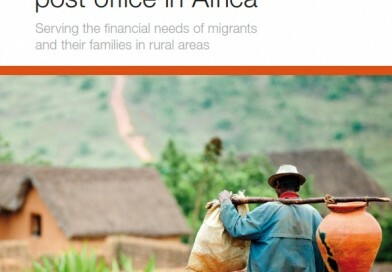 The World Bank Group has been recognizing that migrant workers contribute to international development, to globalization and to the prosperity of nations. So we are glad that we had this opportunity, to join forces with IFAD and, of course, with Bank Negara Malaysia, to discuss very relevant topics related to migrant remittances. The discussions have been very productive and Mr Donald Terry has summarized very well the spirit of these three-day meetings. On behalf of the World Bank Group, I wish you all the best, and I look forward to our next event, wherever it is. Thank you very much. Over the past three days, we have engaged in a lively dialogue regarding the importance of remittances to hundreds of millions of families here in Asia-Pacific and across the globe. The topic is not just stimulating, it’s urgent. Broad participation from a range of stakeholders, public and private, has enabled us to drill down on the key issues. 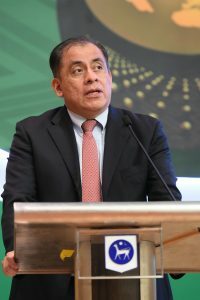 We have learned a lot on the potential for technology, driven by private sector, to transform remittance markets, and we have understood the critical importance of appropriate legal and regulatory frameworks, making transactions cheaper, faster and more convenient, especially to rural areas. Finally, we have recognized a direct relevance of remittances to both the Agenda 2030 for Sustainable Development, and the Global Compact for Safe, Orderly and Regular Migration. The data is clear, the numbers are unambiguous, and the impact is compelling – remittances directly affect the lives of one billion people on earth, providing economic lifelines and improving the health, nutrition, education, and housing for families throughout the developing world. It is also very clear that the positive impact of remittances could be even greater. 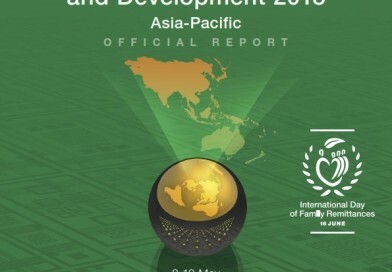 If, as projected, resources totalling US$6 trillion will be received by families living in developing countries in the form of remittances through 2030. The question is clear: what can we do in our various roads, to harness this fast flow to help achieve the Agenda 2030? But we are very mindful of the many cultural, legal and regulatory obstacles that remain. In the last years, the pace of change in remittance markets has accelerated markedly. Technological advances in mobile, digital and Internet-based mechanisms make fundamental transformation of markets possible in the near term. But, of course, that doesn’t mean that it will happen. We need partnerships to open the pathway for rural families and diaspora groups to invest in their countries of origin, spurring development. A key step would be to develop coherent public policies and programmes that will facilitate private sector innovation and empower remittance families. 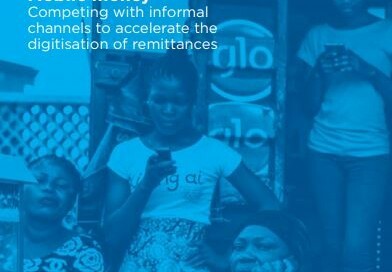 Remittances contribute, in particular, to reducing poverty, ending hunger, improving health, education, equal opportunities, as well as mitigating climate in rural areas. Remittances themselves are not a goal. They are a resource, and a tool. At IFAD we are convinced that these Global Forums stimulate exchanges of ideas and innovations, address challenges and opportunities, and build partnerships. 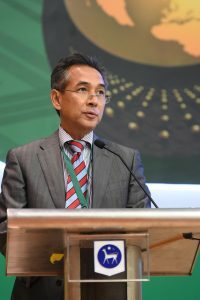 With the support of the current host, and chair of GFRID Malaysia, IFAD and its partners will look forward to identifying the next host of the Global Forum Asia- Pacific to be held in 2020. As we draw this meeting to its close, I am pleased to report that one of the recommendations made five years ago by the participants of the Global Forum 2013 in Bangkok – to support the creation of a universal International Day of Family Remittances – is nearing its fulfilment. 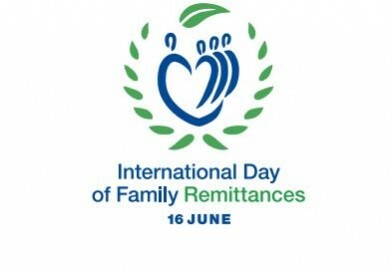 As we are meeting here in Kuala Lumpur, 15,000 kilometres away, in New York, the UN General Assembly is beginning the process to officially designate June 16 as the International Day of Family Remittances. We hope that consideration can be completed over the course of the next month in time to underscore the importance of remittances to the world on June 16, 2018. As we go forward from this Forum, we take with us a renewed commitment to help remittance families improve their lives, and invest in rural areas, so that migration will be more of a choice, than a necessity. At IFAD, we invest in people. Therefore, we understand that our focus needs to be not on millions and billions, but on how to best leverage the average individual remittance of US$200. Because remittances can help end hunger and poverty, and achieve the SDGs 1 and 2. ONE FAMILY AT A TIME. 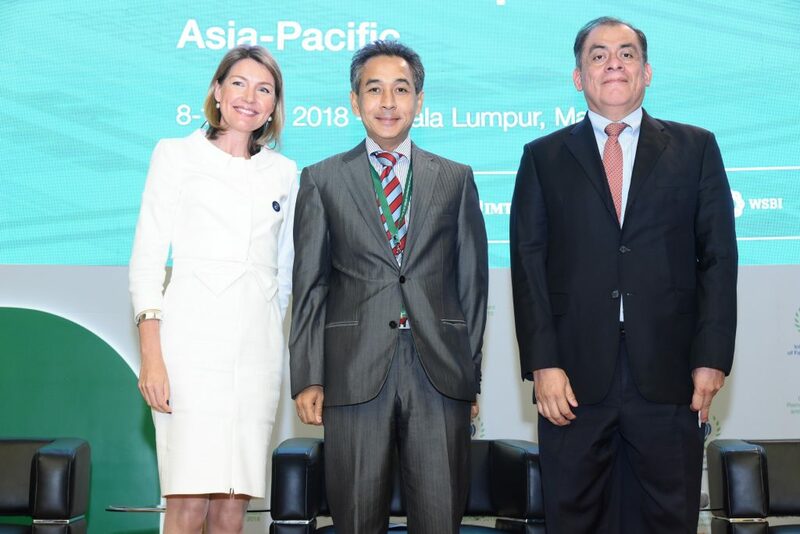 The Global Forum on Remittances, Investment and Development 2018 Asia-Pacific was opened on Tuesday by 3 inspiring women leaders from the co-organizing partners. Ms Charlotte of IFAD started and ended her speech with the story of Lily, a remittance recipient from rural Philippines that represents the success story of IFAD’s work on remittances. 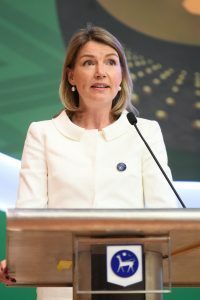 Ms Ceyla of the World Bank Group in her speech underscored the importance of “dignity” in the effort to create a more inclusive and prosperous society. Ms Jessica, our Deputy Governor made a call to action in regards to leveraging remittances to achieve the sustainable development goals. All these speeches share the same idea – that we are faced with dire issue of inequality that needs to be addressed. Despite economic prosperity that the world have enjoyed in the past few decades, millions are still living in abject poverty, suffering from hunger and experiencing discrimination in many forms. The fact that this idea on addressing inequality through remittances were expounded by our female leaders, represents the ethos of this Forum. We believe in a more equal society, that people notwithstanding their country of origin, their gender, or their socio economic background, must be able to enjoy the fruits of development. And finally, leveraging all stakeholders in implementing all the identified strategies. To quote Helen Keller, “Alone we can do so little, together we can do so much”. All these can only be achieved if stakeholders at international, national and sub-national level come together to ensure that these recommendations are implemented. Bank Negara Malaysia is proud to be part of this Forum that is guided by noble spirit to create a more inclusive and sustainable society. We have benefitted greatly from our partnership with IFAD and the World Bank Group in making sure this Forum transpires. We take pride in becoming the first country to hold the first regional style of the GFRID series. I am taking this opportunity to thank both IFAD and the World Bank Group for this great partnership. My appreciation also goes to our supporting partners, Alliance for Financial Inclusion, GSMA, IAMTN, IMTC, MAMSB, Microfinance Gateway, and the World Saving Bank Institute. Last but not least, to all of you speakers and participants from almost 70 countries. Thank you for your active participation. I do invite other Member States to continue this effort that Malaysia has started. Thank you and I wish you a safe journey back to your destination.